Malbec is a French grape variety. Once very common in Bordeaux area, it is currently majorly cultivated in Cahors where it is one of the most popular red vines. The wine obtained from these grapes is renowned for its intense flavors and smoky aftertaste but is surprisingly unpopular in the rest of France. The unpopularity of Malbec is explained by the sensitivity of the vines. The grapes are prone to rot, often develop downy mildew and have almost no resistance to frost. But most French winemakers also gave up on Malbec to replace it with the noblest Merlot. However, in the calcareous and rocky areas of Cahors, Malbec thrives on almost unfertile soils and at high altitudes. But that’s not the only region in the world where these grapes prosper. Today, Malbec is mostly known as an Argentinian wine and for a reason. This beautiful wine region in South America considers Malbec one of the noblest wine varieties. Endowed with a strong character and intensity, Argentinian Malbec is the perfect companion for the country’s delicious meat. Since Argentina made Malbec famous, more and more wine regions gained an interest in these grapes. Majorly cultivated in its home country, France, and adoptive country, Argentina, Malbec started to widespread to other parts of the world. In Europe, this wine finds some admirers in Spain and Italy. Small areas in the region of Ribera del Duero in Spain now focus on the extensive production of Malbec, while in Italy the wine is most famous in the northern regions. Chile is famous for its Malbec production, although the wines coming from this region are less bold than the Argentinian ones. In Northern America, Malbec is grown in California, where wineries produce full-bodied wines comparable with Syrah and Cabernet Sauvignon. Australian Malbec is mostly used as table wine for its lack of structure, but the wine regions in the country seem interested in improving the quality. Like all wines, Malbec’s characteristics depend on the region from where it comes. French Malbec has leathery flavors of black plum and tart currant. It is characterized by a savory bitterness, moderate tannins and has a higher acidity than Argentinian Malbec. French winemakers tend to age their wines, although non-vintage French Malbecs still show a bold character. Argentinian Malbec is primarily produced in Mendoza region and is characterized by fruity flavors and aromas. Plum, blackberry and wild cherry are the main scents, while a sweet tobacco finish is ensured by oak aging. Secondary aromas of black pepper, cocoa, and chocolate are also identified frequently. Regardless of the region, Malbec wine has a medium acidity and tannin level, it has a dark red color and should be served at 69°F. Malbec was born in France, but it doesn’t owe its fame to the native country. Who made Malbec famous throughout the world is Argentina. Malbec grapes are hard to grow. But in Mendoza region, the vines found the perfect territory that manages to complement the aromatic bouquet and flavors of this wine. 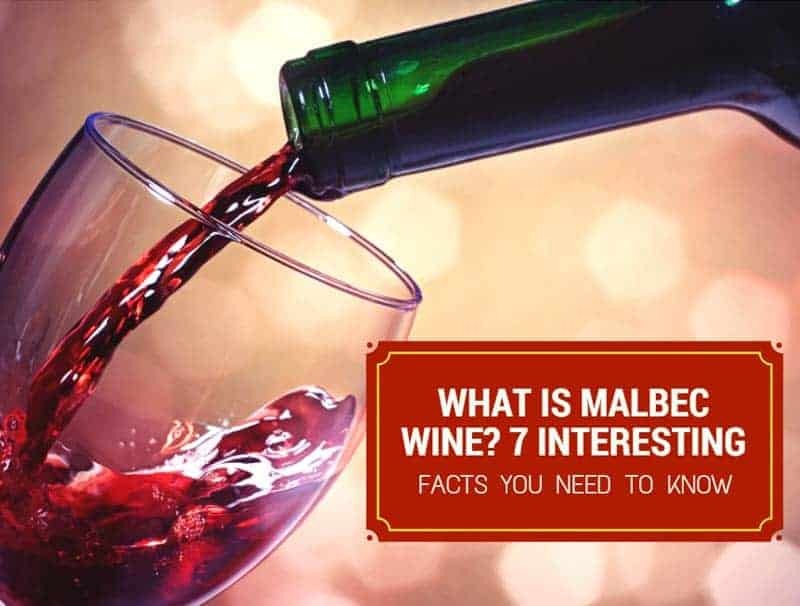 Argentinian Malbec is comparable with the most famous Bordeaux wines in terms of characteristics and pairs wonderfully with game, red meat, and lard. According to the Wine Institute, Malbec is one of the most popular wines in the USA. Among the reds, it holds the fourth place and it’s exceeded in popularity only by Cabernet Sauvignon, Merlot, and Pinot Noir. But statistics suggest Malbec’s popularity won’t stop here. The wine is affordable and since 2009, more than 60% of Argentina’s production of Malbec is exported to the United States. Combined with an outstanding quality, this wine promises to surprise even more in the future. 3. What Does Malbec Mean? Malbec is a somewhat funny name. But where does it come from? While romantics suggest the name comes from a French term designating gossipmongers, historical evidence indicates it comes from a Hungarian surname. It is believed that a peasant bearing a similar name spread Malbec grape variety throughout France. One of the fussiest grape varieties, Malbec is hard to grow due to its sensitivity to adverse weather and cold climates. But surprisingly enough, these vines love high altitudes. Malbec grapes thrive on the high slopes of Mendoza’s mountains and enjoy the wide diurnal temperature shifts with hot days and cold nights. Most red wines develop their characteristics through aging, but this isn’t necessarily true for Malbec. This versatile wine doesn’t need aging to gain exceptional organoleptic qualities and its smoky aftertaste isn’t necessarily a result of oak aging. Commercially available Malbec is often non-vintage wine aged for about six months in oak barrels. Despite the short aging, the beverage still develops bold flavors and aromas. Vintage Malbec, such as Reserva Argentine, is typically aged for at least 18-20 months but its retail price exceeds a few tens of dollars. Not all Malbec is red. A more unconventional choice is the rosé variety, which presents itself as an intense wine with fresh red fruit aromas and a vibrant acidity. Its crisp flavors and freshness make it ideal to pair with white meat dishes, fish or Mediterranean delicacies. April 17th is the World Malbec Day. Why this date? Here’s a bit of history. Michel Aimé Pouget, an agronomist hired to run the Quinta Agronómica de Mendoza, brought Malbec from France to Argentina in 1853 in an attempt to boost the country’s wine industry. On April 17th of the same year, Pedro Pascual Segura, the governor of Mendoza region, submitted to the Provincial Legislature a bill asking the formation of a School of Agriculture and a Quinta Normal, a bill that was enacted as law. For this reason, April 17th, 1853 is considered the day that revolutionized winemaking in Argentina. Wines of Argentina implemented World Malbec Day in 2011 with more than 72 events held in 45 cities across the globe. Malbec Argentino of Bodega Catena Zapata is considered the best Malbec in the world. 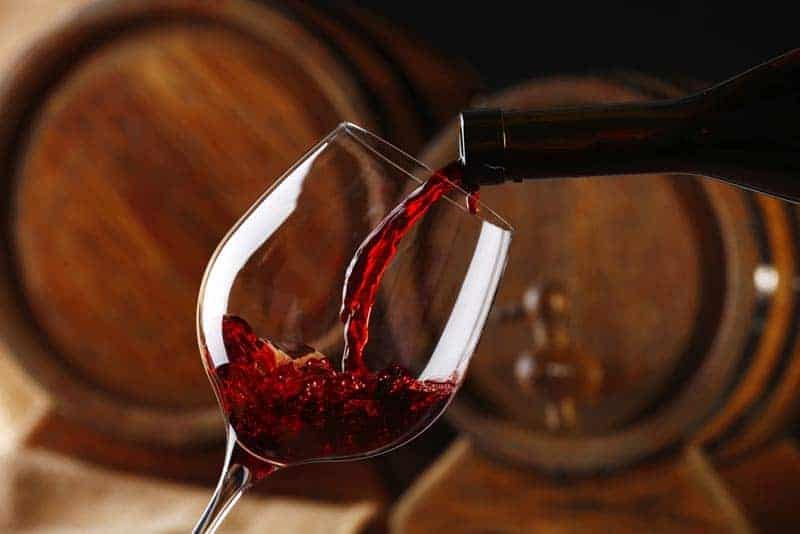 Alamos and Bodegas Esmeralda wineries also produce fine expressions of Malbec wine that pair perfectly with the rich and savory Argentinian meat. In France, one of the most noteworthy is Cahors AOC Cuvée Prestige of Château de Cèdre Winery. This wine has a magnificent dark ruby color and intense aromas of black fruits with tar notes. On the palate, the wine presents is full-bodied with a soft tannic structure that pairs wonderfully with flavored and elaborated meat dishes. Non-Vintage Malbec wine is characterized by a short aging in oak casks. It is characterized by fruity hints and it makes an excellent wine for the starters. Its organoleptic properties are highlighted by simple dishes and tapas. Malbec Rosé doesn’t enjoy the popularity it deserves, but it’s a surprising wine perfect for an informal brunch. Pair it with salads, risottos, or seafood dishes. Or with a tasty paella. Vintage Malbec is a full-bodied wine whose complexity depends on the maturation time. It pairs perfectly with lamb and meat sauces, game, blue cheese, and other strong foods able to enhance its flavors and aromas. Malbec is an exceptional wine. It is versatile enough to pair with almost all foods and competes with the most famous Cabernets or Merlots at all levels. Without a doubt, a Malbec-Cabernet-Merlot wine flight can convince you of Malbec’s outstanding qualities, so give it a try!